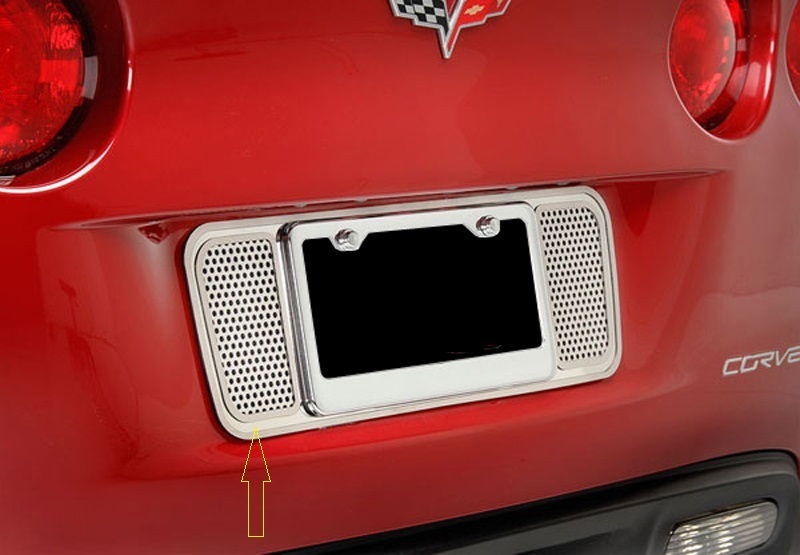 Add a sleek, custom touch to your 2005-2013 C6 Corvette's rear end with this rear license frame back-plate. These new high quality stainless accessories are constructed of premium 304 stainless that is cut via laser into a precise diamond pattern which is then hand tooled to achieve the perfect fit and finish that each accessory possesses. The diamond finish is NOT the common wire mesh found in other accessories of this type. Easy Install. These "all stainless" accessories will never tarnish, pit or lose their luster. **Does not include license plate frame in photo. Must purchase separately.